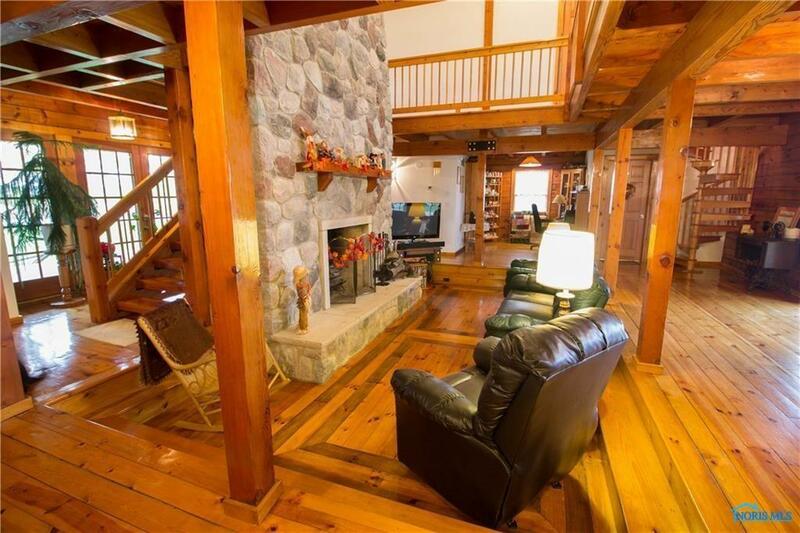 How good does a relaxing night by the fire sound right about now? 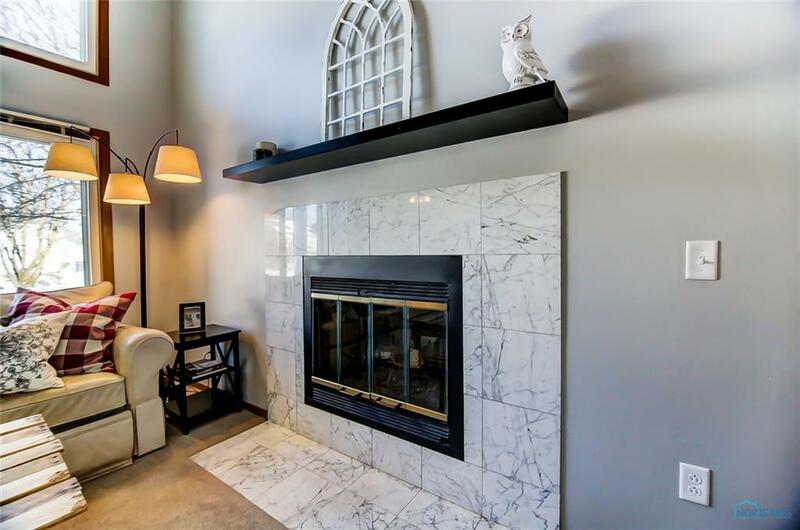 The icy days and frigid temps we’ve been experiencing aren’t what most would consider “dreamy.” But the fireplaces in these Toledo area homes are sure to make you dread winter a little less. Grab a blanket, light the fire, and prepare to be toasty! 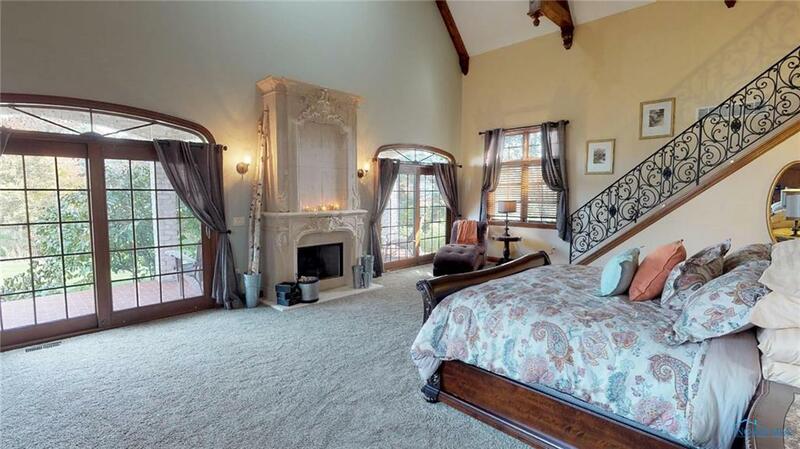 This 5,700 sq.ft. home is located in the coveted subdivision of Twelve Lakes. It’s hard to imagine such a grand home being identified as “cozy,” but take one look at that Pinterest-perfect decor and you’ll see why we think this is an idyllic spot for snow days. 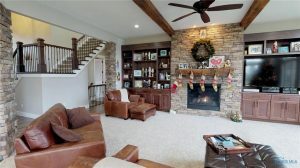 The wood beams, built-ins and gas fireplace with stone surround provide this living room with a warm, rustic touch. 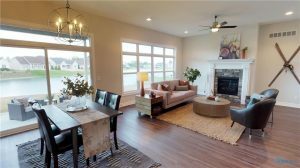 If you need space for holiday gatherings, look no further! 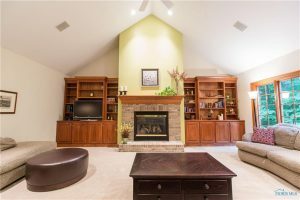 This Sylvania Township property has a total of 8 bedrooms and 6.5 baths between the main house and attached guest house. 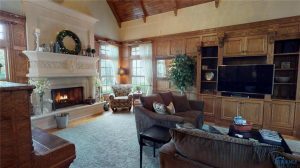 With fireplaces in the living room and a main floor suite, there’s plenty of comfortable areas to keep toasty. As a bonus, you can crank up the heat of the indoor swimming pool and take a dip even on the chilliest of days. The lofty family room in this Stillwater home is centered around a gorgeous brick fireplace. 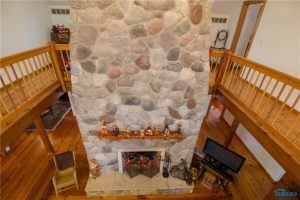 Multi-level decks overlook more than an acre of property, providing breathtaking views no matter the season. 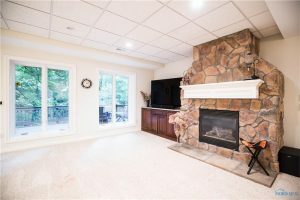 The walk-out basement boasts a large stone fireplace and serves as an additional spot to cozy up and take in the scenery. For a house that’s never been lived in, this Wesley Farms new build is welcoming and homey. 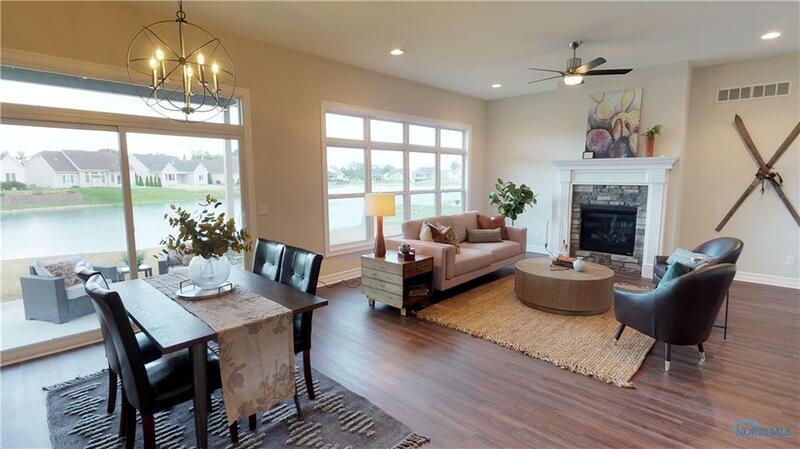 The open concept and abundance of windows gives off a light and airy vibe. 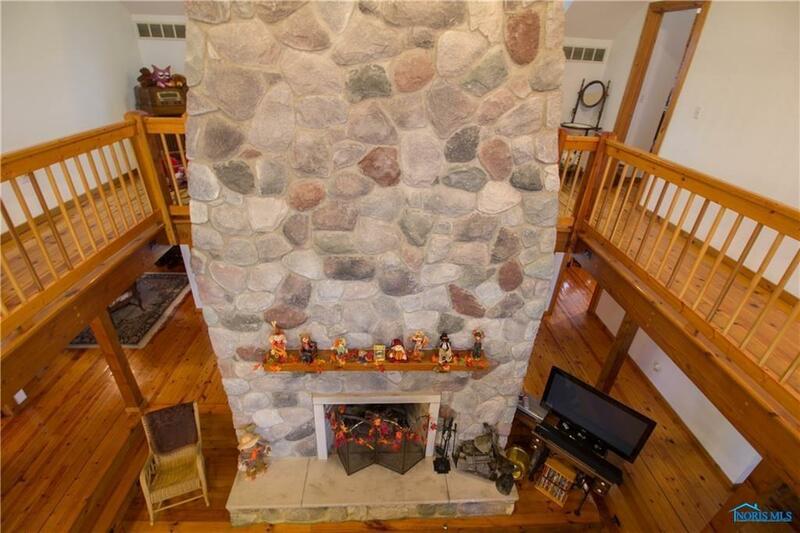 Relax by the gas fireplace and take in the icy water views. 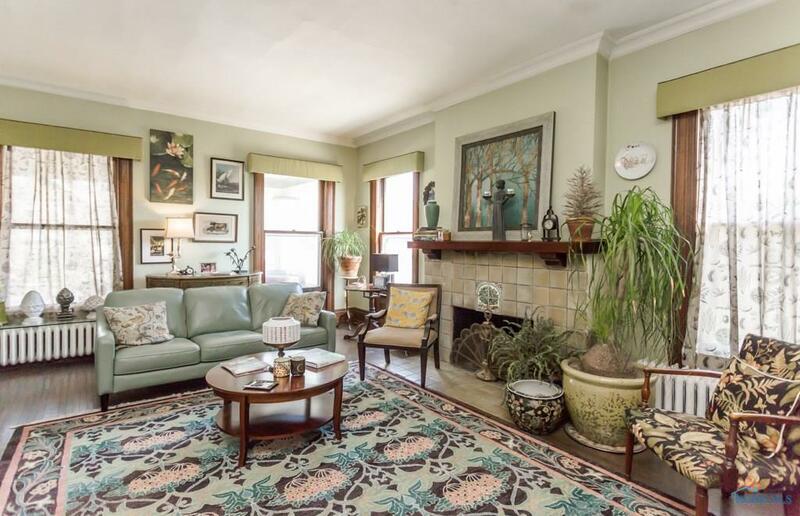 If older homes are more your style, you’ll love warming up in this early 1900’s charmer. 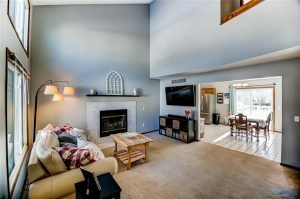 It’s been recently remodeled and has fireplaces galore. 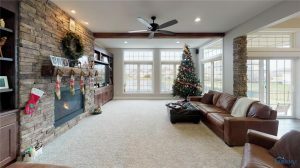 The living room, master bedroom, dining room and finished basement all have fireplaces for snuggling up through the snowy season. 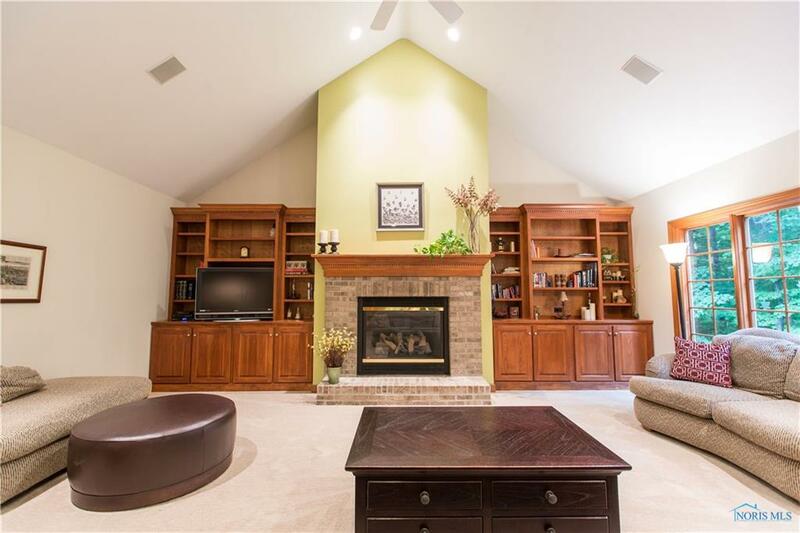 Lodge living awaits in this 4 bedroom, 3.5 bath Perrysburg Township property. Everyday feels like a winter getaway with its 2-story stone fireplace and open concept. 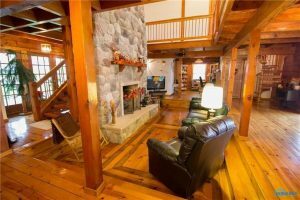 The woodwork and wraparound porch overlooking 1.5 acres of land add to the resort-style experience. 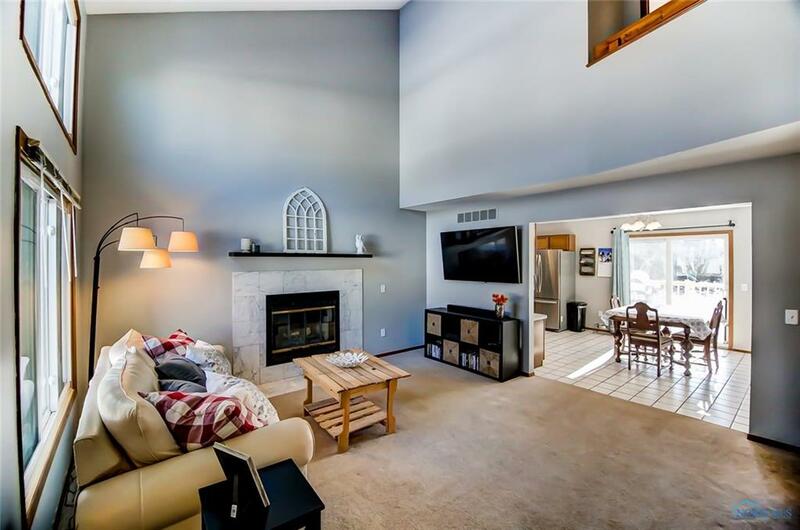 The marble fireplace and open second floor give this Maumee home a regal feel. 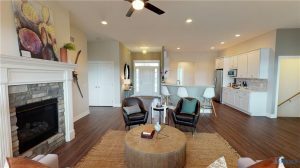 It’s located in the desirable Fairfield Elementary neighborhood. The fireplace can accentuate any style. 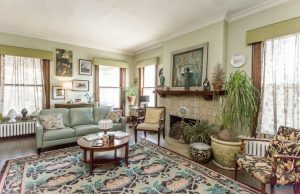 You can dress it up with dark, formal furniture for a glamorous entrance, pair it with bright colors for a boho feel, or add a wood mantel and shelves to incorporate some farmhouse style. 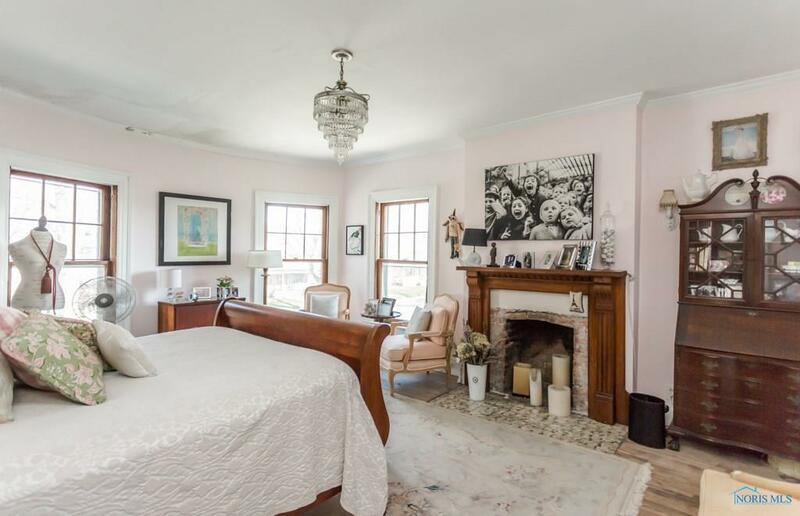 Which fireplace would be your ultimate snow day spot? Let us know in the comments below!